LeBron James is set to be a free agent this coming summer. The question that everyone has been asking is simple: where will he go? If reports are accurate, only four choices are plausible: a return to Cleveland, or a departure to the 76ers, the Rockers, or the Lakers. Let us examine the pros and cons of each potential move. Pros: Staying in Cleveland would allow LeBron James to stay in his hometown for what would likely be the remainder of his career. This would allow him to theoretically win several more NBA titles back to his hometown team, while perhaps completely making up for his departure from Cleveland to Miami. Cons: Reports already indicate a rift exists between LeBron James and Cavaliers’ owner Dan Gilbert. If true, that seems unlikely to improve by LeBron remaining in Cleveland. Further, given the state of the rest of the team, LeBron would likely be spending his mid and late thirties as a one man show on an increasingly untalented team (for the sake of reference, in this year’s first round series against the Indiana Pacers, LeBron scored 36.4% of Cleveland’s points with 28.1% of the team’s shot attempts, a phenomenon likely to only grow more LeBron-centric out of necessity rather than design, should LeBron stay in Cleveland). Pros: Going to Philadelphia would allow LeBron to play with Ben Simmons and Joel Embiid, and to do so without taking a pay cut. He could also remain in the (weaker) Eastern Conference. Heading to Philadelphia just as “The Process” seems to be bearing its full fruit is LeBron’s best chance of winning titles out of the East, and perhaps his best chance period. Plus, the NBA benefits from the rekindling of the Celtics-76ers rivalry in the form of LeBron James vs. Kyrie Irving. Cons: Leaving Cleveland to play on a team that seems to finally be on its way towards a peak will likely be seen as bandwagoning, except this time getting ready for the twilight of his career rather than as a superstar in his prime creating a super team with two other such individuals. 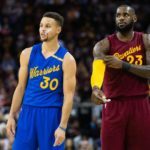 Pros: At minimum, LeBron would get to play with James Harden, and would be able to play against the Warriors more often during the regular season (and possibly up to seven more times in the post season). Assuming Chris Paul stays in Houston, a LeBron led Rockets team might be even better than the James-Wade-Bosh Miami Heat teams. Additionally, from a financial perspective, Texas lacks a state income tax. Cons: Assuming Houston doesn’t want to blow past the salary cap and develop a significant luxury tax deal, someone is going to have to take a pay cut. If LeBron James leaves Cleveland for Houston, it would seem unlikely that taking a pay cut is high on Mr. James’ wish list. Assuming he refuses a pay cut, Chris Paul is likely to be gone. Further, James Harden was traded from Oklahoma City in part due to his concerns over being in the collective shadow of Kevin Durant and Russell Westbrook. Is it likely that becoming the 1B to LeBron James’ 1A would work? Pros: Los Angeles is the second largest media market in the country, and the Lakers are one of the most successful franchises in professional sports. Similar to Philadelphia, coming to Los Angeles would allow LeBron to play with up-and-coming talents such as Lonzo Ball and Brandon Ingram and to do so without a cut in pay. On those lines, the NBA benefits from a rekindled Celtics-Lakers rivalry in the form of LeBron James against Kyrie Irving, as well as a Lakers-Warriors rivalry combined with the LeBron James-Warriors rivalry. LeBron also reportedly already owns a home in Los Angeles, making the transition easier for him and his family. Cons: Coming to Los Angeles would mean LeBron James would be walking into the jaws of a fan base still in love with Kobe Bryant. Further, while LeBron would be the chief attraction in Cleveland and Houston, and at worst a slight second in Philadelphia, Los Angeles, with two baseball teams with devoted fans and two football teams (a de facto three teams if one acknowledges the plurality fan base of the soon to be much closer to Los Angeles Raiders), anything but immediate and long term success could see LeBron James fall down the ladder of his own city. Ultimately, I suspect LeBron James will channel his inner Village Person and go west to Los Angeles. The fact he already owns a home in the city, and can move teams without taking a pay cut will likely influence his decision. 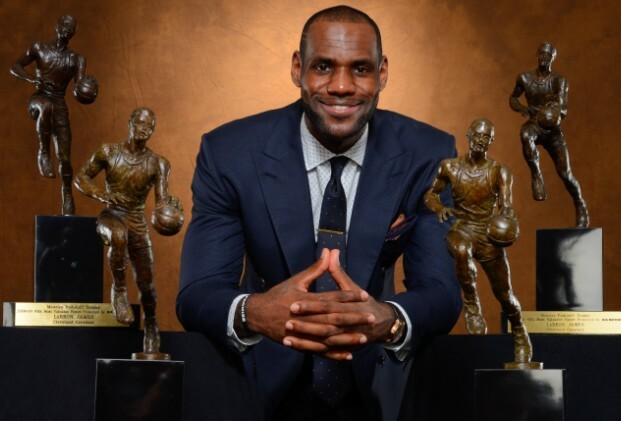 LeBron has also shown his respect for the history of the game of basketball, and I ultimately suspect the ability to finish his career by helping to bring back a long dominant franchise to the forefront of basketball, and perhaps try and silence any Kobe-phile naysayers in the process, will be enticing enough for LeBron James to pick Los Angeles over Houston, Philadelphia, or Cleveland.